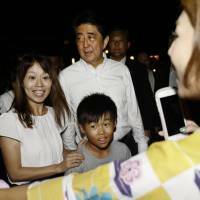 YAMAGUCHI - Prime Minister Shinzo Abe on Saturday said he was ready to win another term as the conservative Liberal Democratic Party’s leader in September, which would all but ensure he becomes Japan’s longest-serving leader. 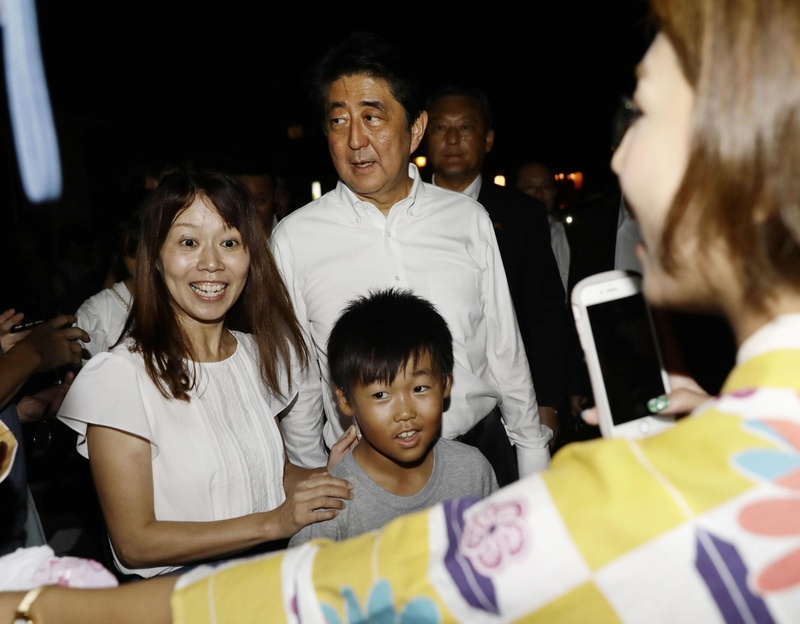 “My goal has not changed at all since I ran in the (LDP presidential race) six years ago,” Abe said at a party gathering in Yamaguchi Prefecture, his constituency. In particular, Abe said he has a “great responsibility” to see that pacifist Article 9 of the postwar Constitution is revised, as he proposed last year. Abe, who is eager to amend the Constitution for the first time, has called for adding an “explicit reference” to the Self-Defense Forces to ensure there is no way for them to be deemed “unconstitutional.” The Constitution was written during the U.S.-led Occupation after Japan lost the war. “Most school texts mention that there are arguments that the SDF are unconstitutional. I have great responsibility to bring an end to this situation. That is the responsibility of the LDP and politicians living in this age,” Abe said. Yet the prime minister stopped short of officially declaring his candidacy for the LDP election, which is expected to be a two-horse race between Abe and former defense minister Shigeru Ishiba. Ishiba declared his candidacy on Friday with a campaign slogan of bringing about “honest and fair” politics, a jab at the cronyism allegations haunting Abe from the Moritomo Gakuen and Kake Gakuen scandals. The LDP election, which will effectively decide who becomes prime minister, will likely be held on Sept. 20, with official campaigning kicking off on Sept. 7. Abe, who took office in December 2012, has had an unrivaled grip on power and was re-elected unopposed for a second term as LDP president in 2015. His current three-year term as president expires on Sept. 30.